The stock has given a huge breakout on weekly charts and can do 120-140 in the short to medium term. Being a low volumes stock one should take care. My views can be biased as recommended to clients. We are planning an online training program on TECHNICAL ANALYSIS in August 1st week----- It would be limited seats and special offers as its the first online training. Marksans Pharma – 20% circuit. 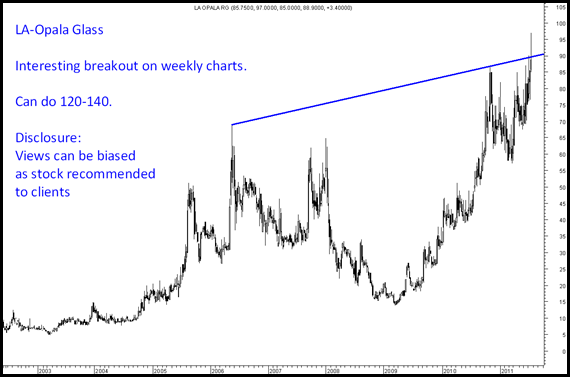 Recommended in Technical Trades March 2014 report.